With a long list of errands to run this Saturday, we planned to get an early start to avoid the Saturday morning rush. We needed to get a number of last minute items for our home renovation…(we at the point now where we realise that there is truth to the saying about renovating….. its double the initial cost& triple the time). 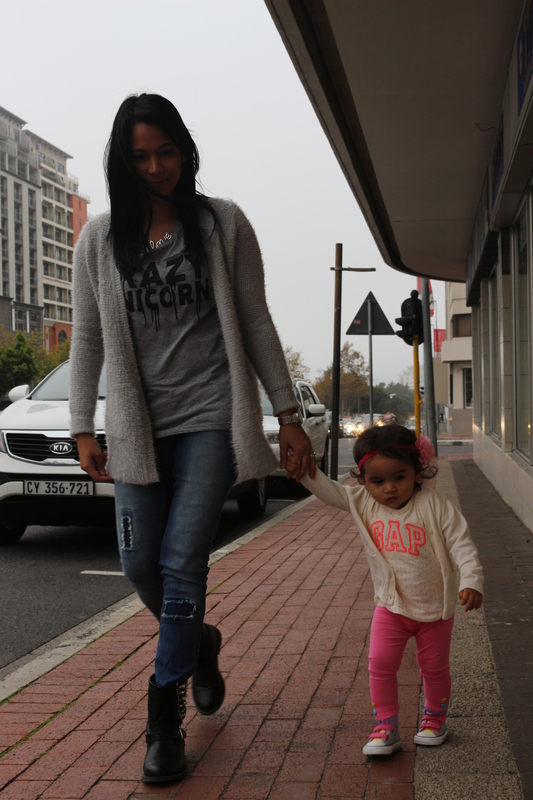 We hit Cape Town CBD fairly early however we roamed the streets with no sense of urgency really. I used to work in the CBD for a long while and i really miss the atmosphere and vibe… It also brings back great memories of the 2010 Soccer World cup when it felt like a month long party! It was the first time Alyssa got to walk those streets and she had so much fun doing it. There was quite a chill in the air but we were dressed for the occasion. We visited a few lighting shops and finally decided, ordered and paid for all the new light fixtures in our home but gosh it took a while…. and it doesnt help having a toddler running around the store opening boxes and swimming on the floor! Once the house is finally complete, I will share our choices with you.